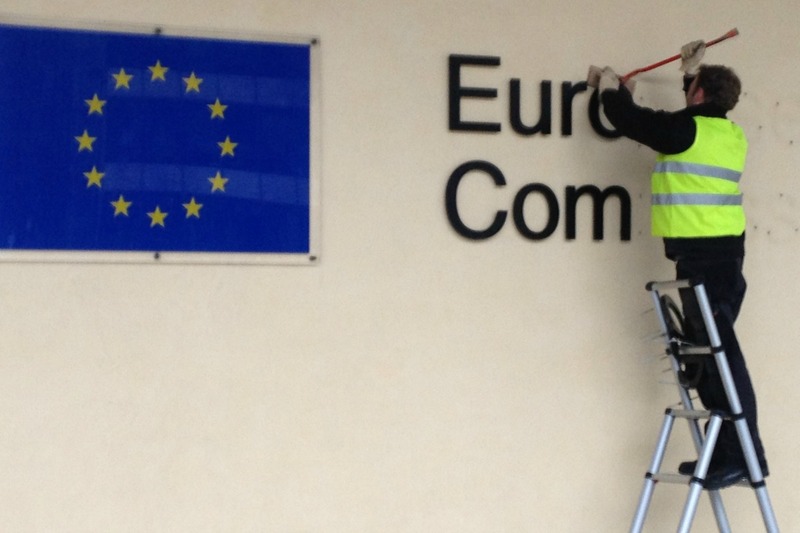 In the autumn of 2014, a new team of commissioners will take charge of the EU executive. As Europe’s economic storms calm down, the next Commission can set its sights on a number of long-term challenges when drafting its programme. An overview of the challenges and opportunities that lie ahead. The European Union is still finding its way out of the economic crisis. But there is an acute awareness in Brussels, and in member state capitals, that EU institutions need structural changes. A new ‘big idea’ for Europe is required, in order to reinvigorate the EU. Over the past couple of years, the European Commission has ordered several large-scale studies to define the societal, economic and international challenges that Europe will face in the near future. The next five years also mean the end of Europe’s 2020 goals, which forces the EU executive to draft a new roadmap for growth. On the international scene, world leaders will reassess their response to climate change and discuss a new framework for development, post-2015. In the wake of the EU elections on 22-25 May, Europe’s heads of state discussed the strategic priorities for the Union in the coming five years. Parliamentary groups, too, work out a political agreement on the direction of their policy making. The EU institutions focus on the shift of crisis management to growth and investment programmes. In a series of interviews with Brussels’ top-level experts and opinion-makers, one key observation sticks out: European political leaders must step out of their comfort zone and reassess the dogmas of their policymaking, in the search for new approaches to growth, global influence and the EU’s architecture. For the first time, the EU executive will be led by a president that is elected by the European Parliament, in a new process following the entering into force of the Lisbon Treaty. EU leaders nominated Jean-Claude Juncker at the European Council of 26-27 June 2014. Looking at the outcome of the EU elections, EU policy making will most likely be dominated by the two main political blocks: the socialists and the centre right. In Parliament, their factions have a narrow majority. This balance extends to the European Council and Commission, which will roughly have an equal number of representatives coming from centre right and centre left. All members of the EU executive’s ‘College’ of Commissioners (except for the president) are selected by the member states individually in July 2014 (and, in some cases, later on). These commissioners will be assigned portfolios in a bargaining process of the member states, led by the EU Commission president. The new commissioners are then grilled by the EU Parliament in a series of plenary sessions to check their knowledge and ambitions related to the assigned portfolio. The new European Commission is expected to take office on 1 November 2014.
effective joint action in the world." Centre left leaders took a strong, coordinated stance to push for more flexibility in the EU's budget rules, under the Growth and Stability Pact. Italian prime minister Matteo Renzi and French president François Hollande took the lead and got the endorsement of socialist leaders first, then the European Council. At the other end of the Grand Coalition coupling, the centre-right Spitzenkandidat Jean-Claude Juncker, put forward his priorities for the next five years in April, when he was campaigning across Europe. The Council's conclusions contained echoes of these priorities. "You don’t need to be a scientist to find out [these priorities],” a source close to Juncker told EURACTIV. “The role is to set the strategic priorities, the strategic orientation of the next Commission. This has nothing to do with the working programme; this is worked out in a later phase." After being confirmed by the European Parliament, Juncker will lead talks with the new European commissioners as well as representatives of the European Council and European Parliament. He announced his 'political guidelines' on 15 July, called A New Start for Europe: My Agenda for Jobs, Growth, Fairness and Democratic Change. The document includes a number of his priorities for the EU executive and the outcome of the coalition discussions with the different political parties. The official 'Working Programme' will pin down the policy direction more specifically. As the European Union grew from a union of dozen countries to a bloc of 28 member states, the EU executive has expanded with each accession round. The Treaty of Lisbon adopted the idea to make the College of Commissioners smaller in numbers, increasing its efficiency. The plan at the time of Lisbon was to downsize the EU executive to two-thirds of the number of member states (Article 17.5, TEU). But EU leaders changed their mind at a European Council in May 2013, deciding that the next Commission will maintain 28 members: one for each member state, as before. “It has proven to be impossible to get the political agreement for countries to give up the principle [of one commissioner per country],” Fabian Zuleeg, chief executive of the European Policy Centre (EPC) wrote in his paper on the structure of the Commission. Still, the idea of having a number of super-commissioners coordinating other, junior commissioners, remains. The idea is referred to as 'clusters' which would group policy fields within a couple of larger portfolios under the responsibility of a Commission Vice-President. These would oversee a number of ‘junior’ commissioners managing specific portfolios. The idea of clusters gained traction after the EU elections. High-level officials, like Commissioner Kristalina Georgieva, and politicians, like French former finance minister Pierre Moscovici, have urged heads of state to take the leap of faith. But the European Council has not spoken out on the matter yet. These ideas are extremely sensitive for member states, which could see their national top position weakened. One position in particular is deemed suitable by EU pundits for such ‘clustering’: what some have dubbed an ‘EU budget tsar’, who would coordinate commissioners for economic, budgetary and financial policies. Some have suggested that he or she could – like the High Representative for foreign affairs – chair the EU finance ministers’ meeting in the EU Council of EU minister (called a ‘double-hatted’ position). The role could even include the presidency of the eurogroup. A EU Commission forecast has shown that not one EU country will be amongst the top eight economies in the world by 2050, if the ongoing shift of economic power persists. It illustrates the foremost challenge the next EU executive has on its plate. The economic crisis has ravaged Europe over the past five years and is yet to be overcome. EU political leaders were confronted with their obligation to deliver on growth, in the past EU elections that showed an increasing number of votes going to fringe, populist and radical parties and not to the mainstream. In a speech following the aftermath of the elections, European Council president Herman Van Rompuy stated: "The citizen’s message to the Union is clear: it must be stronger outside and more caring inside. If you can’t deliver in terms of jobs and in terms of living standards, then this minority of euro-negative voices will become much, much bigger." The EU’s main economic, social and political mission is that “we need a Europe that delivers: citizens want a Europe that thrives,” said Aart De Geus, president of the Bertelsmann Foundation, in a speech at the annual Brussels Think Tank Dialogue (BTTD). Existing instruments to get member states out of the economic crisis, like the European Semester, have shown increasing attention to growth policies, rather than an austerity-driven approach. The incumbent EU Commission has grafted much of its initiatives for growth onto the Europe 2020 Strategy, launched in 2010: a plan for “smart, sustainable and inclusive growth” to steer the continent out of the crisis. 75% of Europeans (20-64 years old) in employment: the share of employed Europeans will go up to 72% in 2020. But the bulk of work is still to be done. Only 68.4% is currently employed, which is a lower figure than when the targets were set. Reaching the target would mean that EU member states must tap into a potential labour force consisting of women, older people and migrants. 3% of GDP in research and development: “The target is unlikely to be met,” the Commission acknowledged. Right now, figures point towards a European average of 2.2% in 2020 of R&D investments across the EU; it could go up to 2.6% if measures are implemented. Cut greenhouse gas emissions by 20%; increase renewables to 20% of all energy; improve energy efficiency by 20%: These climate and energy targets are likely to be reached. Member states, the Commission and the Parliament are in the midst of a discussion on the new framework: the 2030 energy and climate targets. Bring school dropouts below 10%; increase the number of youngsters with tertiary education by 40%: The Commission states this target will be achieved. Ensure 20 million fewer people in risk of poverty: Since the economic crisis, more than 10 million extra EU citizens are at risk of poverty, bringing the total up to 124 million in 2012. Rather than progressing towards its target, the EU is drifting away from it – a social catastrophe likely to get worse before it gets better. In recent years, Brussels clung to the Europe 2020 strategy of growth-oriented policy. "But," Fischer argues, “the deficiency of this debate is that it is a lip service to this ‘smart, sustainable and inclusive growth’. No one is really thinking about how to build a new growth model for Europe – one that is less focused on the GDP.” Fischer's argument matches a growing believe amongst top economists to revisit growth models. The social state of Europe is expected to creep up on EU policy-makers in the coming five years even more. The European Strategy and Policy Analysis System (ESPAS) conducted a study for the EU Commission on social challenges in Europe: it put inequality as number one challenge in the coming decade. “Not just average income, but also education, healthcare or social inclusiveness will not be self-evident in the future,” Stijn Hoorens, the head of the Brussels office of RAND Europe illustrated the results, speaking to EURACTIV. In October last year, the EU Commission presented a flagship communiqué titled the Social Dimension of the Economic and Monetary Union (EMU). It argues a “deep and genuine EMU” makes part of the overall economic union. Other policy tools have been in place for a while. For one, the incumbent EU Commission introduced a social investment package in February 2013 that one expert says is “rather close to the current initiatives”. Migration: On intra-European migration, European governments have kicked off schemes to organise the mobility of workers in the EU; others have fought the EU decision makers in order to restrict migration. The next Commission will have to determine how to make Europe's workforce more mobile without threatening social standards in its member states. Education: At stake are the 14 million young people (15-29 years old) across Europe who are not in employment, education or training – so-called ‘NEETs’. Just over half of them are unemployed. Still, adapting national education systems to fit the needs of youngsters and the job market is in the hands of national, not EU, decision makers. Training: Over the past years, several programmes to re-train the European work force have been established. ‘Vocational training’ is often seen as a solution for the mismatch between education and the job market, but James Caleja, director of the EU agency for vocational training Cedefop, told EURACTIV that “prevention is better than cure”: the real solution lies in the hands of Europe’s political leaders. Income inequality: According to what the Commission’s ‘social dimension’ communiqué, policy will be subject to a set of social indicators, including the real gross disposable income of households, or income inequality measured as the ratio between the 20% richest in society versus the 20% poorest. The ‘social dimension’ strategy could serve as a future tool to foster social stability in Europe. Critics say it serves as a “scorecard”. But true muscle requires treaty change and “the T-word scares people in Brussels and in the member states,” German minister of state Michael Link commented earlier. Think tank researchers speak of a broader approach. One idea that has been floated, according to Fischer, is how to open up investments to “social investments”. As public services have suffered from the economic crisis, European countries and the EU institutions look for answers in soliciting private investment to sustain these services – also in the social realm. “Behind this is the idea of social business,” says Fischer, “a basic rethink of the distribution of responsibilities between the private sector, public sector and third sector players like foundations.” It opens doors for the EU to embark on new paths towards a deepened social Europe. A global impact for EU foreign policy? The Treaty of Lisbon introduced, as one of its institutional cornerstones, the position of High Representative for foreign affairs and security policy, an office taken on by Catherine Ashton in December 2009. All through her mandate, High Representative Ashton has faced strong criticism. Popular uprisings in Arab countries also put the EU’s foreign role to the test, and the escalation in the Syrian conflict increased the pressure on the EU. The praise for Ashton’s role in the ongoing talks on Iran’s nuclear programme, and her brokerage in Egypt’s post-Mubarak era, were rare highlights in a mandate mostly dominated by a struggle to put the EU’s External Action Service (EEAS) on the map. US ties: Many observers have pinpointed the Obama administration’s pivot towards Asia. It might be up to the EU to draw its transatlantic partner closer. One issue is the persistent dilemma in the EU’s security policy: the choice between integrating its own framework or strengthening the transatlantic alliance within NATO. The rise of China: The Asian superpower has generally remained cautious in engaging in global issues, but China’s rise is undeniable. Europe needs to figure out how to approach this, experts argue. Is the EU – with all its limitations on foreign policy effectiveness – capable of tackling these challenges? In his recent book called The Uncertain Legacy of Crisis, Carnegie Europe's researcher Richard Young argues the crisis has slashed the EU’s ‘normative power’. Its credibility in supporting third world and developing countries has been diminished since the economic crisis contaminated the idea of Europe’s global strength. It pushes EU policy makers to ponder the question on how to reform its external action capabilities. The European Union must renew its foreign policy credentials or face irrelevance, as researchers put it in a paper presented at the BTTD. One of the issues that will be haunting EU leaders in the post-election phase, is the selection of the next EU High Representative for foreign and security policy. A stronger figure could boost the EU’s foreign policy capabilities, experts say, as Ashton did not utilise all powers invested to the HR by the Lisbon Treaty. Negotiations between the US and the EU on the Transatlantic Trade and Investment Partnership (TTIP) started in July 2013. If successful, the deal would cover more than 40% of global GDP and account for large shares of world trade and foreign direct investment. TTIP would be the biggest bilateral trade deal ever negotiated and policy makers argue that average European households would gain an extra €545 annually if a deal was reached and implemented. But the trade agreement has been going through a rough patch, with criticism from NGOs and civil society organisations on both sides of the channel. Prickly issues in the agreement include the so-called investor-state dispute settlement (ISDS), or financial services, which have been taken off the negotiation table. "Our choice is not between a world where each does as he pleases and a nightmare where we are ruled directly by multinational corporations," EU Trade Commissioner Karel De Gucht told businesses, trade unions and diplomats in London, in June. The EU Commission hopes to conclude the Transatlantic Trade and Investment Partnership (TTIP) free trade deal before the end of this year (2014). Bruce Stokes, director of the global economic program at the Washington-based Pew Research Center, told EURACTIV that the deadline for these negotiations is the presidential elections in the US, in 2016. “[US president Barack Obama] won’t get credit in the history books for having started this,” said Stokes, and so the EU should make sure the deal is done before the US loses interest. According to a report of ESPAS assessing the global economy in the coming 15 years, intra-EU trade is currently more significant than extra-EU trade, but “by 2030 this will no longer be the case”. The EU must adapt “from a big, but relatively closed, economy to a smaller, but more open one”, the report reads. In the months preceding the EU elections, energy dependence has become a prominent issue on the minds of EU pundits. The EU is still heavily reliant on external energy sources. Commission market research shows that more than half of all energy sources in the EU are imported from outside the Union. Up to 80% of oil resources, and 70% of gas resources are imported, and Russian gas accounts for one third of gas flows into the EU. Apart from the commercial price of energy, the crisis in Ukraine has confronted Europe with the political price as well: a huge dependency on international trade relations to satisfy the energy needs. The European Council's recent agreements give an impetus to the creation of a so-called Energy Union. European countries believe the solution lies in fine-tuning Europe's production and distribution methods, and the development of efficient renewable resources. As part of Europe's 2020 strategy, targets for energy and renewables were already set. But EU policy makers are working out a subsequent agreement, called the 2030 energy & climate framework. The new framework is hoped to solve a number of deficiencies in the energy supply. Ukraine: The conflict between Ukraine and Russia will remain prominent in the first months, perhaps years, of the new legislature. European leaders have taken several steps by imposing sanctions against Russia, and, most recently, by finalising the Association Agreement (AA) between Ukraine and the EU. But Russia's perseverance have confronted both the EU and the US with a serious challenge on the global stage. Development: On an international level, the UN’s Economic and Social Council (ECOSOC) is discussing a follow-up to the millennium development goals (MDGs), for which the target deadline is 2015. The international community is also looking into next steps on sustainable development, following the Rio+20 conference that was held in June 2012. Climate: In December 2015, leaders from across the world will gather in Paris for the Conference of the Parties (COP) on Climate Change. The Key objective is to agree on a coordinated international response to climate change, including limiting global warming to 2°C, but in order to do so, countries must reach a compromise on how to share the efforts. June 2014: Parliament groups start informal negotiations with EU Council on next Commission president. 26-27 June 2014: Nomination of Commission president at the European Council summit. 14-17 July 2014: Parliament votes on European Council’s nomination of Commission president in its plenary session. Summer 2014: New president nominates his Commissioners team, scrutinised in individual hearings before Parliament in September. Oct. 2014: The new Commission is hoped to be confirmed by the European Parliament. 1 Nov. 2014: Target date for new Commission to take office. 2015: Deadline for the Global Millennium Development goals. December 2015: UN’s Conference of Parties on climate change. 2016: End of the Obama administration and perceived deadline for TTIP free trade agreement. 2020: Deadline for the Europe 2020 targets for “smart, sustainable and inclusive” growth. Brussels Think Tank Dialogue: Legitimising EU Policymaking: What Role for National Parliaments? EU’s economic storm calm down? I think who ever wrote this need to stick their head out of the window and see the real Europe outside Brussels.